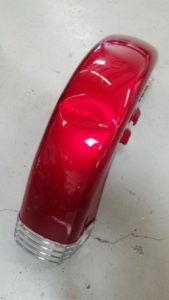 What Do You Have Under Your Paint? 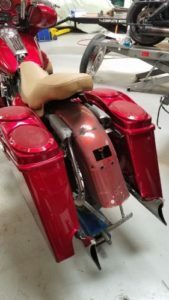 Too often we find here in the shop, that work done without the right expertise in custom motorcycle repair, metal fabrication, and welding, can miss the mark when it comes to providing the highest-standards of craftsmanship we pride ourselves on. 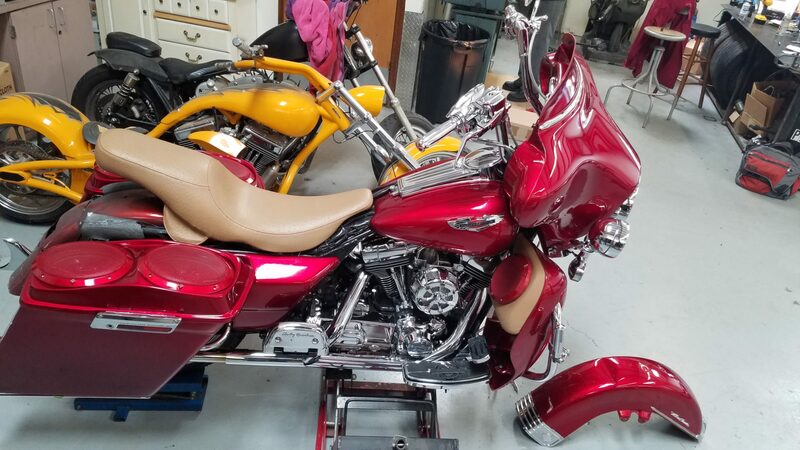 And such work usually leads to higher costs down the road, when corrective repairs need to be made, or worst, catastrophic failure in your bike’s structure occurs. 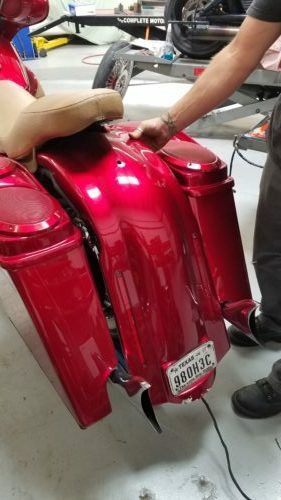 Work on this Harley Davidson Electra Glide will include the repair of a broken bracket and welding on the rear fender. This will ensure stability and prevent no further damage to the rear fender from friction from the underlying frame. 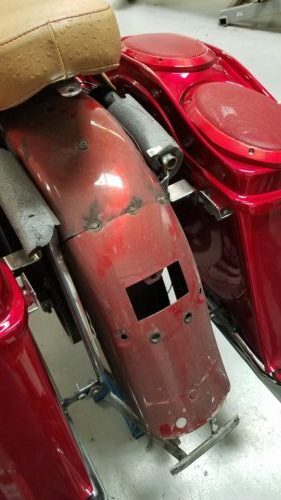 In addition, worn front forks will be replaced and body work completed to repair damage to the front fender. To ensure you’re not worried about “What’s Under Your Paint?” after completing custom motorcycle repair, fabrication, or welding work, please feel free to contact us by phone or email so we can discuss how to help you with your project. Copyright 2017 Metalcraft Racing. All Rights Reserved. Hey Buddy!, I found this information for you: "What Do You Have Under Your Paint?". 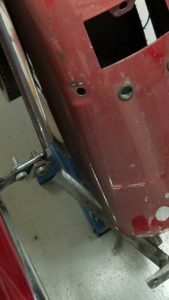 Here is the website link: http://metalcraftracing.com/what-do-you-have-under-your-paint/. Thank you.